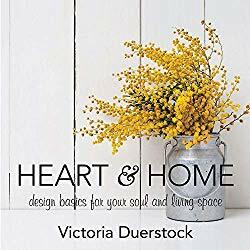 Heart & Home: Design Basics for Your Soul and Living Space by Victoria Duerstock is a ninety day devotional book packed with inspiration, design tips, and scripture. With it’s lovely pictures, featuring design elements and uplifting devotionals, this is one book you want to get your hands on quickly. You can do just that on Saturday April 6th at Mt. Zion Baptist Church in Liberty, NC. Victoria Duerstock will be at Mt. Zion for a pre-release launch party from 1-3 pm. Victoria will be speaking to guests about how the inspired book came to fruition. Copies of the book will be available for purchase at the event (prior to it’s official release on April 16th). You can also have the book signed by the author. Come pick up your autographed copy and meet Victoria. Learn more about Victoria Duerstock at www.victoriaduerstock.com. For more details about the upcoming event, visit the Facebook event details. If you are unable to attend the event, pre-order the book here. 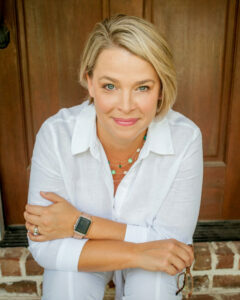 Melissa Cole, also know as "Teal Mom" is an author and food allergy advocate. She is a devotional writer featured in The Secret Place. Melissa’s writing has also been featured in The Liberty Leader newspaper and The Courier-Times newspaper. 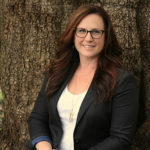 She is a featured blogger and guest blogger on AllergyCloud.com, an allergy resource page. Melissa also serves as a Sunday School teacher at Mt. Zion Baptist Church in Liberty, NC and has served in many capacities at Mt. Zion, including as the Mothers of Preschoolers leader, a Children’s Church teacher and a Girls in Action leader. She is currently pursuing a Master of Arts degree in Christian Ministry from Liberty University. Melissa lives in Central North Carolina with her husband Jon and four wonderful children, Ashlynn, Jonathan, Annemarie and Jaxon. Melissa is represented by Caroline George of Cyle Young Literary Elite. Follow her blog at MelissaColeAuthor.com.